« We’re In the Money! Oy. That was a slog. I’ve been keeping a low profile the past several weeks, as I have been engaged on the home front; transitioning into the end of school, fighting raccoons, and embarking on a fairly major home improvement jag. Whew! It’s been exhausting. 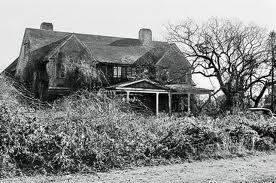 In the end, I was forced to take matters into my own hands, lest we become the Grey Gardens of our neighborhood. Not our house, but we’re getting there. We had our slanting front steps removed and a small, but lovely deck put on. While we were at it, we had a landing built for the back, so we no longer just tumble out the back door to the yard. The adhesive on the front entryway and the girls’ bathroom floors had long ago given up the ghost, so the tiles just slid around at will, shifting back and forth like tectonic plates. These were replaced with sturdy ceramic tiles…and those suckers ain’t going anywhere. Then there was the painting. So much painting. I painted the new deck, stained the stairs, front and back. I painted the bathrooms, the front entry, and then, God help me, I finished the whole mess by painting the boy’s room. Let me just acknowledge, I know that the boys have gotten the short end of the bedroom stick. The girls, simply by outnumbering their brothers thee to two, have the comparatively palatial second floor to themselves. They have their own bathroom and two walk-in closets. They have room for desks and dressers, chairs and a book nook. Sure they get the occasional bat or raccoon staring through their dormer windows, but by and large, it’s a pretty sweet room. The boys, by contrast, have a tiny, no frills bedroom with crooked, stained floors. It is a mirthless dollhouse room. Hobbits would feel claustrophobic in this room. 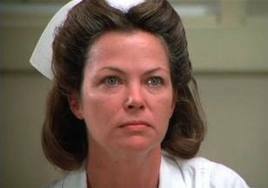 Nurse Ratched would lock you in there, if you misbehaved. To the bedroom with you! It is the ghetto bedroom. I promised to make it marginally better and let the boys pick out their own paint. Then we got to work. First the room needed to be cleared. The boys began bringing out crates and totes and laundry baskets filled to the brim with stuff. Good god, almighty, I have no idea where all that came from. I amend my previous descriptions; they have the clown car of bedrooms. I fully expected a little dog in a hat to come rolling out, balanced on a beach ball, juggling apples or maybe leaping through a fiery hoop of doom! I don’t know what kind of markers Little Man had access to, but they bled through two layers of primer and two coats of paint. By five o’clock, I was slapping a third coat of paint on the walls, swearing like a character in Pulp Fiction. At seven o’clock I reached the stage of just painting right over electrical outlets. At eight, I was touching up trim with my fingers because I just needed to be done, goddammit. At nine o’clock, the boys moved their stuff back in. And you know? With the freshly painted walls, the new curtains and the deep clean…It still looked exactly like their old room. I would have smacked my forehead with my exceedingly sticky and paint covered palm, but for the fact that the boys were delighted. ARE delighted. It’s been several days and they are still pleased as punch with their new environment. It’s probably the paint fumes, but I’ll take it.